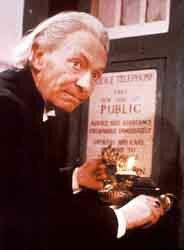 "In 1992 a small group of Doctor Who fans within the television industry approached the BBC's Television Archivist with a view to securing funding for a unique project - the experimental restoration of a monochrome Jon Pertwee story back to its original colour form." This is the opening quote from the Doctor Who restoration team's website (http://www.restoration-team.co.uk). Since then the group has worked on restoring Who classics including Planet of the Giants and Tomb of the Cybermen for the ultimate in quality video and DVD release. Back in the days before colour television was invented, the only way to archive the black and white transmissions was to point a film camera at a video screen - a process known as telecine. This was done for two reasons - cost: in the 1960s videotape was very expensive (around £200 an hour at a time when 60 minutes of TV could have a budget of just £2,000), and profit: many foreign TV stations could were not equipped to run videotape. So the tapes of shows were transferred to film for sale and the video wiped for re-use. 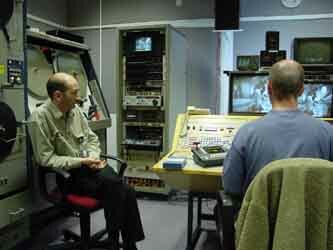 As a result, the vast majority of the UK's archive TV survives on film. Unfortunately, transferring tapes to film seriously degrades the image. Team member and freelance video technician, Peter Finklestone, developed a procedure which reinstates the missing field data, reproducing the visual feel of the original video recording. The process, called VidFIRE (Video Field Interpolation Restoration Effect), interpolates the lost fields using motion-estimating software similar to that used to create the 'bullet time' effect used in The Matrix to create its time-bending visuals. 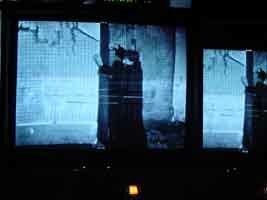 Basically the VidFIRE process creates a half-speed version of a film transfer which is then speeded up to real time but with the new frames interlaced as fields. Early attempts with its predecessor, Video Field Artificial Restoration Technique (charmingly shortened to VidFART), produced smearing and artefacts, especially when there was a large amount of movement against a detailed background. But the process has now been refined to broadcast quality and fans of archive TV may now be able to view a show in better quality than when it was first aired. As well as receiving VidFIRE treatment, episodes were also given a more traditional sprucing up - visual defects including scratches and dust were painted out from individual frames - a process which takes weeks to complete. Frames can often be repaired by using another frame from either side and superimposing it over the damaged picture to remove a scratch or dust. Finklestone said: "a very important part of the process is the removal of as much film artefact - dirt, white sparkle. This is done on a painstakingly frame-by-frame basis. This can take between four and 20 hours per half hour show depending on the amount of print damage. More complex areas of damage, especially on moving scenes, can require a lot of careful thought and different techniques to repair." Other work including sound repairs are also completed when restoring episodes. 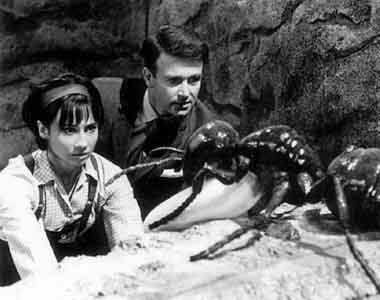 The team is currently working on the DVD release of another vintage William Hartnell time travelling yarn, The Aztecs. The DVD was due as the second release of 2002, but was put back to give time for more work using VidFIRE due to processing time. Team member Steve Roberts said: "Because of the extra time involved in processing the story, currently a week per episode, it was decided to swap 'The Aztecs' and 'Carnival of Monsters' to give us a little more time to ensure that results were as perfect as possible." Work is going well on the restoration so far, as the team are working on a very high quality transfer of the original negative. "Its going to look very good and certainly belie its age (38 years old). It will probably have had about 30 hours of manual clean-up, plus 11 days of processing time," said Finklestone. There have been some corrections needed, however things are not looking too bad. Episode one has been completed with approximately 2000 corrections made, and the remaining episodes are looking cleaner and should involve a little less work. Already the team is looking at what likely DVD extras will be added to the disc for release. 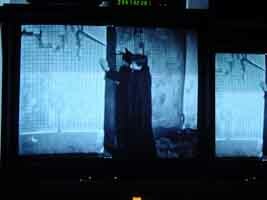 Roberts said: "These will definitely include the now obligatory commentary, production subtitles and photo gallery. We are also looking into using the Arabic soundtrack for episode four [a private collector owns this], a design featurette with Barry Newbury and possibly a historical documentary about the Aztec belief in human sacrifice to appease their gods. Looking set to hit their April deadline without problems, this could be a good year for DVD collecting for classic Who fans. 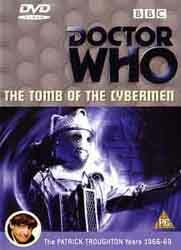 1992 saw the release of Tomb of the Cybermen on VHS (above left). Now 10 years later thanks to the Doctor Who restoration team fans of the show can watch a version of the series that is superior in quality to the original broadcast.